Driving under the influence (DUI) is also known as driving while intoxicated (DWI), drunk driving, or impaired driving. DWI is the name for the offense of driving a motorized vehicle while impaired by alcohol. For alcohol, it is based on the Blood Alcohol Content (BAC) of the person operating the motor vehicle. BAC is a predetermined amount of alcohol in the blood that renders the driver incapable of safely operating a motor vehicle. The legal BAC limit for driving and drinking, in all 50 states, is .08%. If the police suspect someone may have been drinking while driving, they will field test someone to see if they are over the legal limit. A drunk driver’s level of intoxication is determined by a measuring the percentage of alcohol in a certain volume of blood. States have set a specific threshold level of Blood Alcohol Content (BAC) that automatically makes it a crime to be operating a motor vehicle. Check this graph of BAC and Car Crash Risk. If the police suspect someone may have been drinking while driving, they will field test someone to see if they are over the legal limit. This can be done by asking the driver to preform certain physical tests such as walking a straight line. More often a “breathalyzer” is used which will give the officers a rough idea what the driver’s approximate BAC level until an actual blood test can be administered. All 50 states have set .08 BAC as the legal limit for driving a motor vehicle. In some states there is a second higher level which constitutes an “aggravated” category which has more serious consequences. The criminal offense does not require the actual driving of the vehicle. It can include being in control of a car while intoxicated even if they are not actually driving it. These same sets of laws apply to driving under the effects of narcotics, including prescription medication. Drinking alcohol impairs a wide range of skills necessary for carrying out these tasks. This Alcohol Alert examines alcohol impairment of driving skills and describes some factors that increase motor vehicle crash risk. Treatment of convicted DUI drivers generally emphasizes drinking behavior modification. The type and duration of treatment depend on factors such as the severity of the person’s drinking problem and DUI history. DUI offenders with less severe drinking problems benefit most from educational programs, although no known model is thought to be most effective in reducing recidivism or alcohol-related crashes. 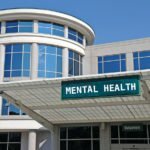 For repeat offenders or those with more severe drinking problems, therapy that lasts for at least 12 months and that includes intensive programs focused on the individual appears to be most effective. The many skills involved in dThe proportion of alcohol to blood in the body is expressed as the blood alcohol concentration (BAC). In the field of traffic safety, BAC is expressed as the percentage of alcohol to blood such as 0.10 percent (i.e., 0.10 grams per deciliter). A 160-pound man will have a BAC of approximately 0.04 percent 1 hour after consuming two 12-ounce beers or two other standard drinks on an empty stomach. Driving are not all impaired at the same BAC’s. For example, a driver’s ability to divide attention between two or more sources of visual information can be impaired by BAC of 0.02 percent or lower. However, it is not until BAC of 0.05 percent or more are reached that impairment occurs consistently in eye movements, glare resistance, visual perception, reaction time, certain types of steering tasks, information processing, and other aspects of motor skills. Some states now require offenders to use “ignition interlock” devise. They are a “breathalyzer” installed on a motor vehicle’s dashboard. Before the vehicle will start, the driver first must exhale into the device and pass a BAC test. Legal sanctions, such as driver’s license suspension and court-ordered alcoholism treatment, are designed to deter drinking and driving. Driver’s license suspension and license revocation seem to be the most effective deterrents among the general driving population. However, a meta-analysis of deterrent strategies targeted to the drinking-and-driving population concluded that the most effective means for reducing re-arrest for driving under the influence of alcohol (DWI, DUI) and crashes was a combination of license suspension and interventions such as education, psychotherapy, counseling, and some follow-up. The National Highway Traffic Safety Administration (NHTSA) credits State laws raising the legal drinking age to 21 with preventing almost 1,000 traffic deaths annually. Legislation to reduce the BAC limit to 0.02 percent or lower, referred to as the “zero tolerance law” for young drivers, has been passed by 29 States and the District of Columbia to reduce alcohol-related fatalities further. The National Highway Systems Act provides incentives for all States to reduce their BAC limits for drivers under 21 to 0.02 percent beginning October 1, 1998. One study examined the effectiveness of lowering BAC limits for young people in States where such laws have been in force for at least 1 year. The researchers found that after the BAC limits were lowered to 0.00 or 0.02 percent, the proportion of nighttime fatal crashes involving single vehicles in this age group dropped 16 percent.